Lots of people identify Jesus as their Lord and Savior. But do they live in way that also says he is their greatest Treasure? In this lab, John Piper uncovers a couple of precious truths about our infinitely valuable Jesus. There are at least two paths in these verses to grow our love for and hope in him. Peter wants us to find hope by highlighting the immeasurable value of Jesus Christ. Focus on each thing Peter notes about Christ, and try to explain in your own words why they highlight Jesus’s beauty or value. What things does Peter highlight about Jesus in 1 Peter 1:20–21? In what ways do those things cause us to live in fear of God (1 Peter 1:17)? Read Hebrews 1:1–2, 1 Corinthians 10:11, and 1 Peter 4:7, 17. How do these verses help us understand “the last times” in 1 Peter 1:20? Who is doing the work in 1 Peter 1:20? What is he doing, and who is he doing it for? Does this reveal anything new for you about him? God did not look around on the earth for someone to save his people. Jesus was brought into the world precisely because he had always existed and been known by God (1 Peter 1:20). God chose him for that. Knowing that Jesus existed in eternity past and was always God’s chosen Savior for the world should elevate his value in our hearts. 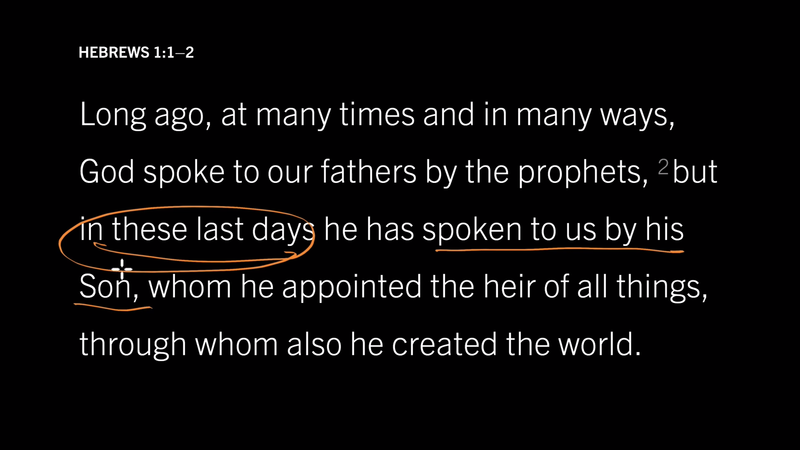 When Jesus entered the world, he began the last days (“the last times”). The manifestation of this Jesus in history has inaugurated the end of history, again elevating his infinite worth. God is working through Christ to make himself our treasure, the object of our faith and hope. Everything Peter says about Jesus in these two verses should cause us to live in fear of making Jesus look inconsequential or worthless.